Q: What does the Invisalign consultation include? A: The consultation includes a full diagnostic examination and treatment planning that will determine whether you are a good candidate for invisalign and how long your treatment can be expected to take from start to finish. A: Yes, It has been clinically proven that in both research studies and actual orthodontic practice nationwide that Invisalign is effective at straightening teeth. And yes, without metal or wires. Q: What do the aligners look like and what are they made of? A: The aligners are what is shaped specifically to your mouth. They are made of a clear plastic that is nearly invisible when worn. The plastic is medical grade and very strong. There are a lot of skeptics out there who don’t think Invisalign is virtually invisible. Invisalign braces are not completely unnoticeable, but you will keep a much lower profile than our metal counterparts. The aligners look a lot like whitening trays, but are custom fit to your mouth and needs. Q: Does My Insurance cover Invisalign? A: Everyone’s coverage is different and benefits differ from policy to policy so it is best to look over what your Insurance covers and to talk to your Invisalign dentist. If you have Orthodontic coverage, Invisalign should be covered just like traditional braces. But this is a tough one to answer because it really depends. Invisalign usually costs $6000, if you have 50% ortho coverage, Insurance companies will pay $3000 towards your payment. 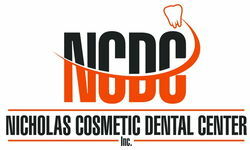 We offer 12 month 0% interest with Care Credit to our patients who get approved. So you can finance the remaining $3000 over 12 months and your monthy payments will be $250/month. This way you can get your teeth straightened for as little as $250/month. Q: I heard Braces hurt…Is Invisalign Painful? A: The first few days of the Invisalign treatment are the most painful. So yes, there are Invisalign pains.The same goes for traditional braces. You have to remember that your teeth are moving, when that happens, bones break. Your teeth heal and settle and are sore from the initial movement. Once the first few days are over your teeth should be less sensitive and you shouldn’t be in pain. Q: What are the benefits of choosing Invisalign? A: When comparing Invisalign to traditional braces the benefits are simple to see. The most obvious benefit is being able to straighten your teeth without anyone noticing. The nearly invisible braces win over metal brackets and wires any day. Another benefit is being able to remove the aligners. The daily tasks of eating, drinking, and brushing your teeth do not have to become a hassle with braces. You can remove them easily. Comfort is another huge benefit of Invisalign. NO METAL so there is less irritation on your gums and tongue. No wires and brackets also means less time in the doctors chair getting those adjustments. Most Invisalign patients go back every 6 weeks, but it depends on the dentist/orthodontist. Lastly, with Invisalign, you are able to view your progress throughout the treatment with ClinCheck software. It is great to see a goal in front of you and progress happening. Q: I heard about Invisalign Express…What is it? A: Invisalign Express is very similar to the full treatment, but treats more mild orthodontic conditions like minor crowding, or spacing. The treatment usually takes less than 6 months and is less costly then the full treatment. It is up to you and your dentist to decide which treatment would be best for you. Q: How does Invisalign move your teeth? A: This is a great question, because we are so used to metal brackets and wires being able to move our monstrous teeth and roots, however Invisalign’s biomechanics are very similar to that of traditional braces. Instead of pulling the teeth, the aligners press directly on the teeth, shaping and moving them in the direction of the aligners. The movements are very deliberate and part of the treatment, it is important that you keep your aligners in as long as you can, so that you can progress through the treatment as planned.